Just because you live a health-conscious lifestyle doesn’t mean you can’t celebrate National Dessert Day! Who says dessert has to be filled with sugar? Grab an organic and nutritious juice or smoothie from Sunshine Juice Company. Their juices are made fresh daily, and full of the fruits + veggies that will have you feeling your best. Pangea Kitchen is known for their Neapolitan style pizza and fusion Thai cuisine, but did you know they have a gelato and espresso bar as well? The cool and creamy gelato is made on site with unique flavors like goat cheese, fruity pebbles, Irish coffee, and so much more. They also serve delicious European pastries including cannoli, macarons, and biscotti. Stop by on the special day or ANY day for a sweet treat (or two!). 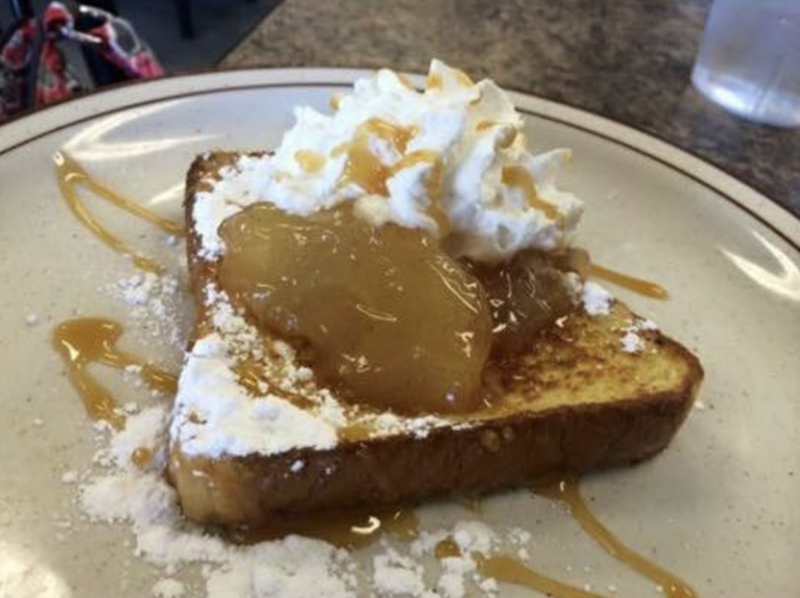 Caramel + apple + French toast equals a tasty explosion of sugary goodness. Find this scrumptious treat at Rose Hill Cafe. Start National Dessert Day right with this zing of a breakfast item or a plate of Oreo cookie, chocolate chip, or blueberry ricotta pancakes. Rose Hill Cafe serves some of the best brunch in town – you can’t go wrong! Find these shops o’ sweet on Towny. You probably know that when you shop local, you boost your own community’s economy. If you haven’t heard yet, Towny’s the free app that lists YOUR local businesses and the app where YOU GET REWARDED for choosing local. If that sounds good to you, grab the app here! It’s free!